Sorry McDonald's, Chipotle was just not that into you. That's the major takeaway from an oral history of Chipotle published Monday by Bloomberg. The account takes a fresh look at the relationship between the Denver-based burrito maker and McDonald's, its former partner and major investor. Chipotle spent eight years taking McDonald's money, all the while resisting changes to its "fast casual" dining model. With funding from the industry legend, Chipotle opened hundreds of new stores and built a business that threatens its former partner's market position. By 2006, McDonald's (MCD) had divested its stake, leaving Chipotle (CMG) to blossom into a company worth more than $22 billion. Chipotle executives attribute much of their success to doing things differently -- and in some cases, ignoring advice from McDonald's, even about something as important as the company's name. "One of the McDonald's guys thought we should call it 'Chipotle Fresh Mexican Grill,' because the term 'fresh' was such a great term, and Baja Fresh had 'fresh' in its name," Chipotle co-CEO Monty Moran recalled. "I remember [founder Steve Ells] had a very non-tactful, politically incorrect response: 'Well, that's a bunch of you-know-what. Why would we do that? It doesn't make any sense.' "
Chipotle refused to take advice from the industry leader on other weighty issues. "Bless their hearts, McDonald's had a lot of great suggestions, and we were always polite about it," said Gretchen Selfridge, Chipotle's COO. "They really wanted us to do drive-throughs. They really wanted us to do breakfast. But we just really didn't do any of that." That attitude led to friction at McDonald's Oak Brook, Ill. HQ. "He [Steve Ells] wasn't the most popular person in McDonald's headquarters because he was polarizing," said Matt Paul, a former McDonald's CFO. "He rejected everything that we held dear -- the drive-throughs, the advertising, the prominent store placement." McDonald's deserves a lot of credit for spotting Chipotle when it was just a local Denver chain. And even more credit for betting millions on its potential. Years later, McDonald's could use a little of that Chipotle magic once again. 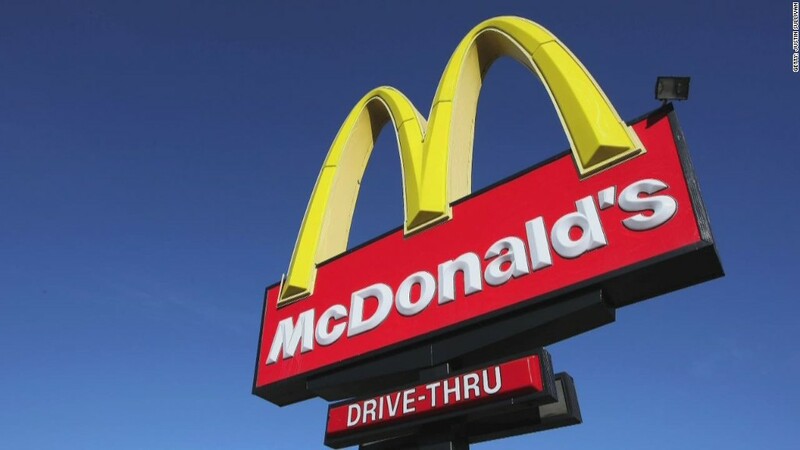 Last week, McDonald's reported awful earnings and warned that the first half of 2015 will be a challenge. CEO Don Thompson, a 25-year company veteran, then announced his departure.